BE Pressure 125,000 BTU Kerosene/Diesel Forced Air Heater - Black Walnut Cracker for Serious Nut Crackers! 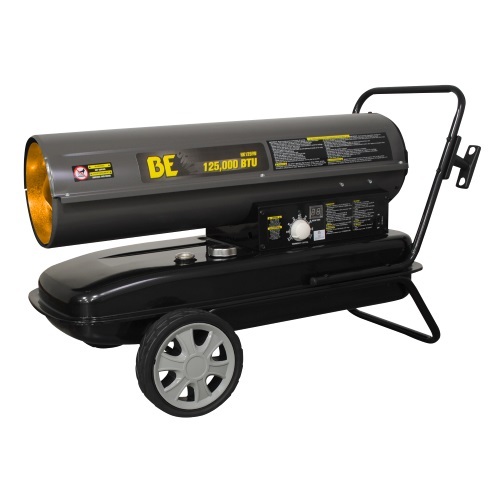 When the weather outside is frightful, squash that scare with this BE Pressure 125,000 BTU Kerosene/Diesel Forced Air Heater! Features a built-in thermostat and calibrated air pressure gauge. Easy-lift handle and pneumatic wheels. Max operating time is 10 hours. Has 10 gallon fuel tank. Power on/off switch and automatic safety shut-off system. Even better? Free shipping!